According to reports, the cost of a fire that damages or destroys a wind turbine can be as much as $2 million. 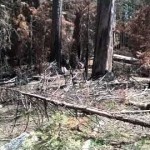 Property damage to the turbine, and nearby areas, from fires reported in the past decade ranged between $750,000 and $6 million. 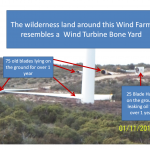 Aside from the imminent hazards of a burning turbine, there is also the risk of sparks, embers, or debris falling to the ground and setting off a wildfire due to the remote location of many wind farms. Even if a turbine is not fully burned or damaged, or a potential fire doesn’t spread to the surrounding countryside, costs can be considerable. This was shown during a recent fire at a wind farm in California, which resulted in the loss of just one converter cabinet. Cost for replacement: $243,000, including parts and downtime. 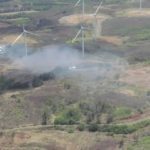 Although the financial loss and costs of a fire might be the primary concern of any wind farm operator, pressures are building up from environmental groups and the concerned public in general. Turbine fires—and, particularly those that spread—should be a significant concern, affecting the planning stages of any project. To this avail, permitting might be more drawn-out, costly, and time-consuming process. Turbine manufacturers and wind farm operators are now, more than ever, becoming acutely aware of the costs, safety, and the environmental arguments in favor of effective fire detection and suppression. 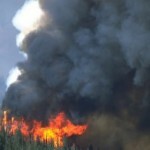 But what are the fire risks associated with wind turbines? Technical equipment and combustible material are concentrated in the nacelle and, once a fire starts in a turbine, it can be fuelled by up to 200 gallons of hydraulic fluid and lubricants. The nacelle itself is constructed from highly flammable resin and glass fiber, and internal insulation can become contaminated by oil deposits, adding to the overall fuel load. The most common cause of a turbine fire is a lightning strike—a risk that is heightened by the installation of taller and taller wind turbines. Turbines are now being built that are up to 320 feet high. 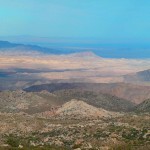 They’re frequently sited in exposed and high-altitude locations. Globally, there are around 16 million lightning storms and approximately 1.4 billion lightning flashes every year. However, only 25% of these are cloud-to-ground (the remainder are either cloud-to-cloud or intra-cloud); yet, this still equates to the US being hit by between 15 million and 20 million ground strikes a year, according to the Colorado-based National Lightning Safety Institute. The consequences can be judged from the following example. 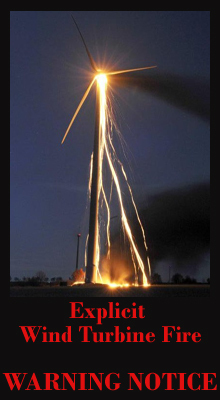 Recently, a wind turbine caught fire as a result of a lightning strike. Burning parts of the rotor blade, which had been struck, fell and caused a secondary fire in the nacelle—all at a cost of $200,000 and 150 days lost operation. Mechanical failure or electrical malfunction can also trigger a fire as capacitors, transformers, generators, electrical controls, transmission equipment, and SCADA (Supervisory Control and Data Acquisition) systems all have the potential to catch fire. This risk is amplified when there are loose or broken electrical connections, or there is an overloading of electrical circuits. Braking systems pose a particularly high risk of fire. Overheating can cause hot fragments of the disc brake material to break off, rupturing hydraulic hoses, and resulting in the highly combustible hydraulic fluid being expelled under pressure and coming into contact with the hot disk brake fragments. Hydraulic pumps and connections can also fail, allowing the fluid to erupt into flames when it comes into contact with a hot surface. A case in point was a fire where a slip-ring fan of a double-fed induction generator broke. Sparks were generated by the rotating fan impeller, which set the filter cabinet’s filter pad alight. The fire then spread to the hood installation, causing $800,000 worth of damage. With the fire risk becoming greater as more turbines come into operation, the National Fire Protection Association (NFPA) has added wind turbine and outbuilding fire protection standards to NFPA 850 (“Recommended Practice for Fire Protection for Electric Generating Plants and High Voltage Direct Current Converter Stations;” 2010 Edition). This provides fire protection recommendations for the safety of construction and operating personnel, physical integrity of plant components, and the continuity of plant operations. The revised 2010 edition includes detailed recommendations relating to wind turbine generating facilities. Wind farms are usually built in isolated locations with restricted access, placing them beyond the prospect of immediate attention by the fire service. Even when emergency services are able to respond quickly, few have the equipment capable of firefighting at the height of modern wind turbines. The solution is an effective fire detection and suppression system. Such a system should be intrinsically safe, not require any external power that can fail or put the system out of operation, and it needs to be able to stop a fire precisely where it breaks out before it can do irreparable damage to the turbine or spread elsewhere. It also needs to be purpose-designed to contend with the vibration, dust, debris, airflow through the nacelle, and the extreme temperature variations. An effective system also has to be capable of providing 24/7 unsupervised wind farm protection. Wind farm fires do happen, and many in the industry suspect that they occur far more frequently than statistics suggest. This is because a significant number of turbine fires go unreported due to their remote location. Emergency services are not always involved and there are no regulatory requirements to report related fire incidents. Hardly surprising, many insurers are becoming increasingly concerned, and the opinion of many can been summed-up by the following statement: “Fire. It’s not a matter of if, it’s a matter of when.” Better safe than sorry. 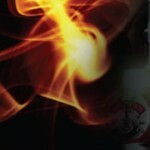 Scott Starr is the director of marketing at Scottsdale, Arizona-based Firetrace International.